It is four years since Colleen McCullough breathed new life into the least popular of the Bennet sisters with her The Independence of Miss Mary Bennet. 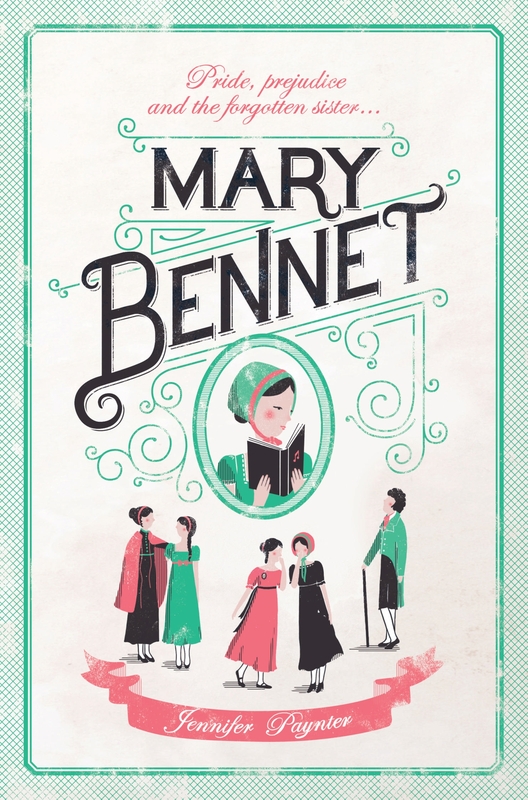 Now, Sydney-based writer Jennifer Paynter has created a newer, more authentic version of the continuing adventures of Mary in her book entitled, simply and tellingly, Mary Bennet. McCullough turned Mary into an ardent feminist advocating for the poor, twenty years on from the ending of Pride & Prejudice. Paynter has neatly wrapped a prequel and a sequel around the original, presenting Mary in a more sympathetic and interesting light. In the prequel, which Paynter began as a novella, she shows how Mary’s early experiences of rejection, when she was born to deeply disappointed parents anxious for a son and promptly turned over to a wet-nurse in an abusive family, serve to shape her character. She always felt herself to be an outsider in her family, neither favoured by her mother or father nor any of her sisters. Next, her sympathetic tutor encouraged her religiosity and his mother, with whom she spent her formative years, encouraged her to start her journal of platitudinous extracts to help her with her social ineptitude. When these friendships are suddenly broken, Mary comes under the influence of Jasper Coates and his Italian family who occupy Netherfield prior to the Bingleys. They encourage her musical abilities. However the ménage a trois also make a hasty exit after a denouement. Meanwhile, Mary’s inner life reveals her keen observation of the Pride and Prejudice characters, especially the sibling rivalries in the family, making her unable to trust Jane and impatient with Kitty and Lydia. The dialogue between family members is masterful although at times, perhaps, relying a bit too heavily on the original text. A lovely Mary touch involves her constant reading of Mary Brunton’s Self Control to her mother during the crisis over Lydia and Wickham. Eventually, Mary’s lasting friendship with the older niece of Mrs Long, Cassandra, serves to soften her character and moralistic judgements. Finally, the clever upending of the pride and prejudice theme in the love story results in Mary’s horizon’s being broadened both metaphorically and literally. Mary’s struggles to deal with the “lower classes” provide subversive humour in the book as do some of her gauche attempts at communicating with her lover. The self-righteous Mary is embarrassed at being discovered asleep in the chapel at Netherfield after drinking too much negus at the ball. “Lopping and cropping” could have tightened the novel as some of the incidents do not seem to fit comfortably into the whole, being too far-fetched for no apparent reason. In particular, the childhood death of a family member, Jasper Coates and his mysterious resemblance to Mr Darcy, and Mary’s melancholia, the treatment she receives and the further blackening of Wickham‘s character seem superfluous. With over fifty writers already having been inspired to attempt to add to Jane Austen’s inimitable story, this one can take its place proudly as a worthy addition, being both entertaining and original. NOTE: A Guest Post by Jennifer Paynter will be posted to the blog in a couple of days. Watch this space! This entry was posted on Monday, May 14th, 2012 at 11:25 pm and is filed under Jane Austen sequels, prequels and spinoffs, Pride and prejudice, Review - Jane Austen sequels. You can follow any responses to this entry through the RSS 2.0 feed. You can leave a response, or trackback from your own site.